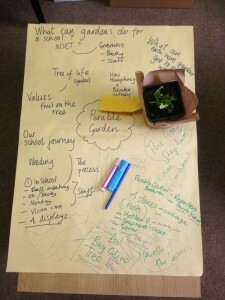 Listening in all meetings with Head teachers, staff and clergy to identify priorities, challenges, hopes and dreams for the school’s journey that Parable Garden can support and enable. Harnessing creative gifts and creating opportunities for staff, clergy and parents to contribute creative ideas and activities in achieving overall purpose. 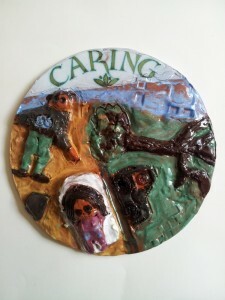 Affirming creativity within each child and participating adults, through accessible, collaborative creative activities on the selected theme. Values rich learning journey reinforcing Christian values through teamwork, deliberate integration of values in approaches to planned activities and reflective activities.